Simmers installed a Gorbel Free Standing Monorail Fall Protection System. We also rebuilt their trash crane including making structural improvements. Fall protection is becoming a larger part in manufacturing and assembly. We were contacted by a manufacturer who was interested in providing fall protection inside a paint booth for their workers but also had a need to hang small parts. 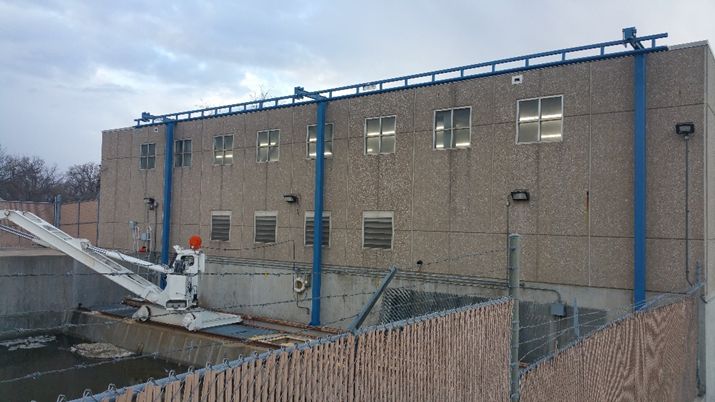 Simmers worked with Gorbel to come up with a hybrid solution which had provisions for fall protection on the inside rails while still allowing a standard workstation crane to be hung from the outer rails. 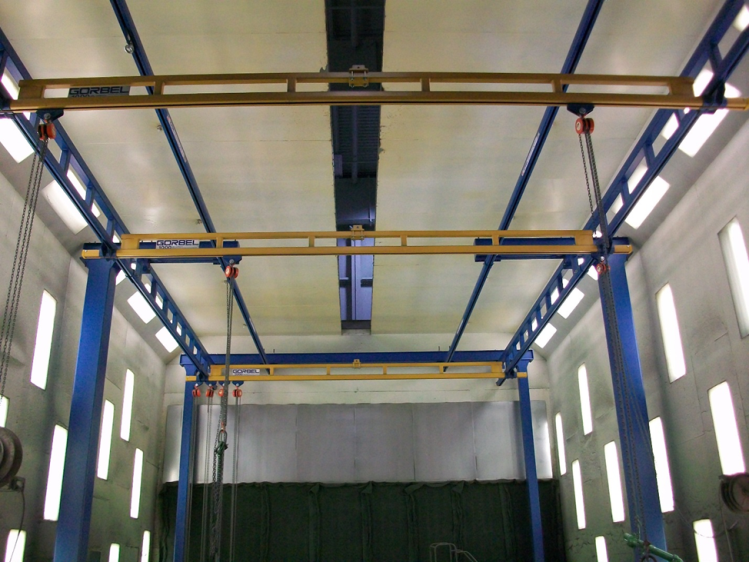 For the heavy lifting, there is a slot in the top of the paint booth so that they can place the product inside the booth with the large overhead cranes. The product that they manufacturer is large which requires workers to work at heights while painting. This provided the best of both worlds and was a great compromise to meet their needs.